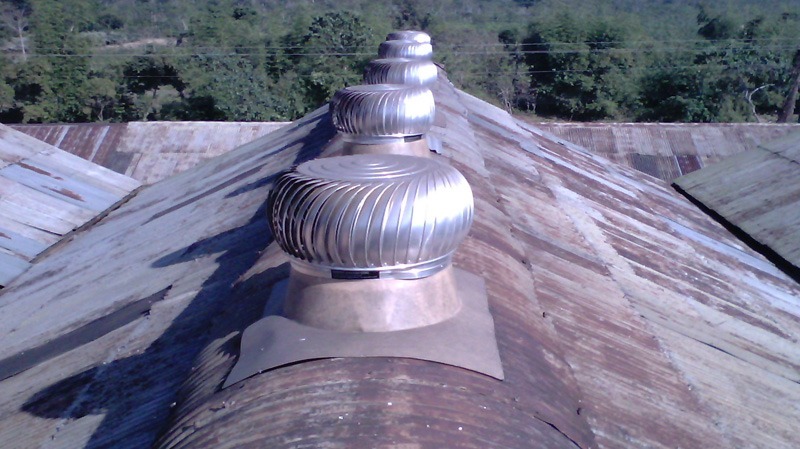 We are one of the leading Turbine Attic Ventilator Suppliers, Manufacturers and Exporters based in Vadodara, Gujarat. We offer technologically advanced Turbine Air Ventilators that are specially designed and manufactured in compliance with internationally accepted quality and performance standards. In addition to this, our Turbine Attic Ventilator is also tested for designing flaws of other factors that may hamper their performance. The Wind Turbine Ventilator provided by us uses wind energy and therefore environment friendly and cuts operational cost to minimum. Construction and Design Fabricated using superior quality bright Aluminum or stainless steel material, our double curved vanes are specifically designed to withstand climatic extremities and offer durability and efficiency. The unique construction of this Air Turbine Ventilator makes it light in weight. It also has specialized water spill deflection gills provided under groves.